Two weeks ago now my friend Sarah and I flew to Palermo, Sicily for four nights and we had such a wonderful time. I've mentioned many times before that Italy is one of my absolute favourite places and it's always been a dream of mine to travel around the entire country, which I'm slowly doing by going to a new place every summer! Since Sarah is so well-traveled already in Italy, when it came to booking this trip Palermo became a pretty obvious choice because it's one of the few places in Italy which Sarah hadn't been to. 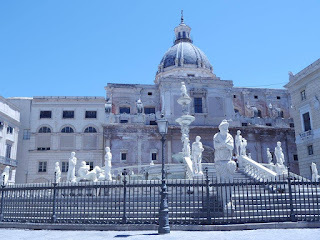 This turned out to be a great thing because Palermo has never been top of my immediate list of Italian cities but it was beautiful and we both loved our time there. We had to wake up excruciatingly early for our 5:50am flight to Palermo but, despite this traumatic start to the holiday Palermo was so beautiful that it more than made up for it and it was nice to have essentially the whole day ahead of us once we landed in Sicily! When we arrived at the airport we bought tickets for a bus into the city. The company running the buses is called Prestia e Comande and I'd highly recommend it as we bought return tickets for just ten euros, they were incredibly helpful in telling you what stop is closest to your accommodation and it runs a half-hourly service. There's a stand in the arrivals section of the airport you can't miss! Once we'd checked into our hotel and recovered a little from the flight and the early morning (it took us a good while to get over the lack of sleep!) we sat down to decide what to do with our first afternoon/evening. 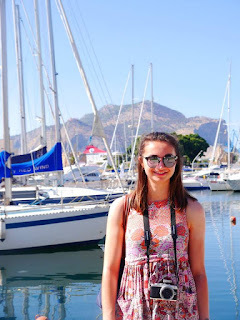 Usually when I go on holiday I have a stack of travel blog posts on the place I'm staying in full of recommendations for what to do and where to eat as I usually find that people's personal suggestions are far more helpful than professional guides. However, despite having had a look for some before I left, I couldn't find very many useful ones on Palermo and so I had picked up the Lonely Planet guide for Sicily which has a great section on Palermo and which Sarah and I used religiously throughout our trip! We stayed in the Mercure Palermo Centro Hotel which was great in that it was in an ideal location and had a very nice room but was quite average really in terms of everything else. I'd recommend it as somewhere to stay to see the city but I wasn't blown away by it. Anyway, having had a flick through the Lonely Planet guide, we decided to head to Palermo's Cathedral, which was absolutely stunning both inside and out. What was great about Palermo was that everything was in walking distance, and since walking is definitely my preferred way to get to know a city, this was ideal! Stopping for a gelato on the way and going for a wander after looking around the cathedral, we then went back to the hotel, freshened up and decided to head for dinner. For our first meal out we went to Bisso Bistrot, a recommendation from the Lonely Planet guide (which is a running theme of this trip!). Sicily, being an island, is known for serving excellent seafood and so I felt like I had to try the ravioli which came with the fresh catch of the day in Bisso Bistrot, on this evening being tuna and prawns. It was absolutely delicious and so cheap - a win-win for sure and I would highly recommend this restaurant if you're visiting Palermo. 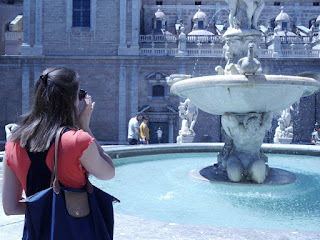 The next morning we got up and out quite late - something that I loved about this holiday was how laid back we were and that we weren't rushing the whole time - and, on our way to the Mercato di Ballaro and Palazzo dei Normanni, we came across the Fontana Pretoria. The fountain was bought by Palermo in 1573 and it is absolutely beautiful. 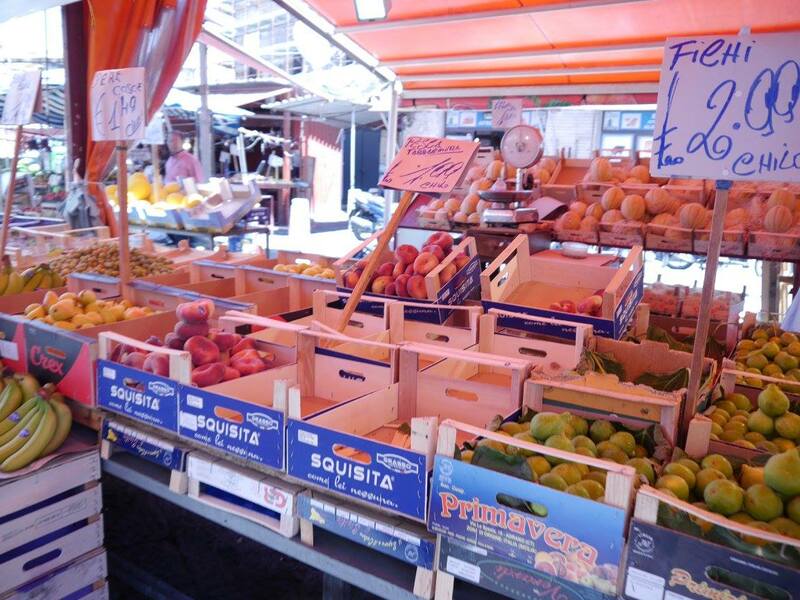 Having had a look around the fountain we soon found our way to the Mercato di Ballaro and had a look around all the stalls before deciding to try and find somewhere for lunch. By chance on our way down a side street between the market and the Palazzo dei Normanni we found a little bakery/deli which seemed to have only locals in it buying lunch. I wish I'd found out the name of this place because we had the most amazing and reasonably priced lunch there and the gentleman who served us (unable to speak English and impressed by my very basic Italian) even gave us a free freshly baked olive roll which was very sweet. We finally made it to the palace which originally dates back to the ninth century, contains Sicily's regional parliament, the royal apartments of King Roger II from the twelfth century, and the Capella Palatina or Palatine Chapel designed by Roger II in 1130. You have to pay to get inside but there is a reduced price for students which we were very pleased with and the interiors are just stunning. It's also a nice break inside if when you're visiting it's the peak of the Sicilian summer like it was when we were there! Exhausted by the heat and all our walking, Sarah and I headed to the Gelateria Ciccio Adelfio which is very near Palermo's train station. It offers an incredible number of gelato flavours - I settled on one scoop of peach and one of fererro rocher in the end - and is very well priced; it was just what we needed to cool down! For dinner on Saturday night we headed to Pizzo & Pizzo. It's first and foremost a wine bar but does amazing food as well. This restaurant was definitely our priciest and doesn't serve what I'd call a budget dinner, but the service and food were impeccable. The waiters were so accommodating, asking for our specific wine tastes before bringing us a glass that best suited them, bringing out aperitivos without you asking (although, be warned, you do have to pay for these!) and just being incredibly welcoming. The ravioli we had was absolutely incredible - I can't remember exactly what the flavours were but it was different to anything else I've ever had but worked amazingly. So all in all if on your stay you're looking for a really nice dinner, this is definitely the place to go and I loved it! 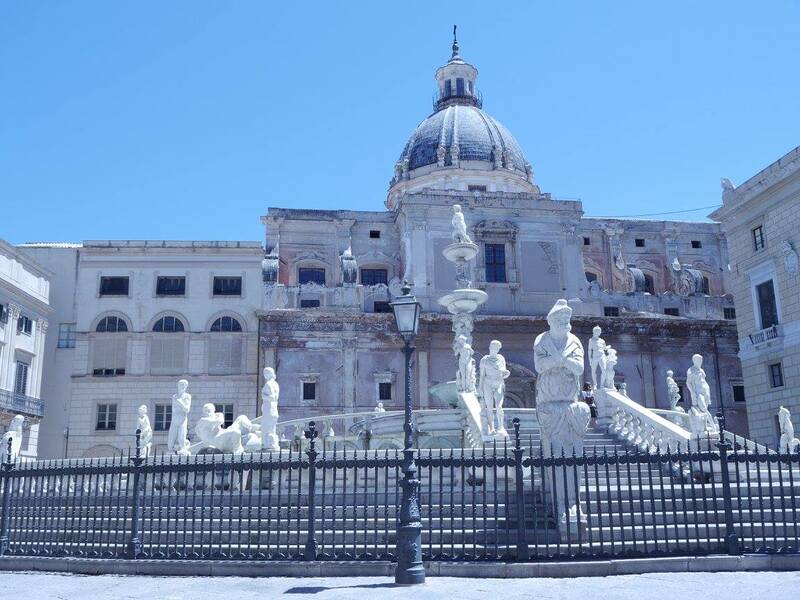 One thing to be aware of if you're visiting Palermo over a weekend is that on Sundays most museums, galleries and churches close at around midday give or take a few hours. Sarah and I didn't realise this until we'd got ready that day which wasn't before midday! 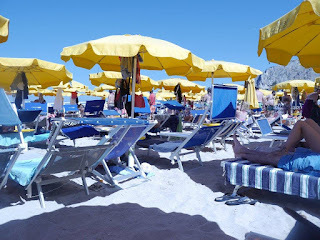 This might be a good day to head to Mondello to visit the beach which we ended up doing on Monday but we did manage to make it work anyway. We went for lunch at Francu U Vastiddaru, which sells yummy sandwiches with really interesting fillings for only 2 or 3 euros. Palermo is famous for its street food and this did not disappoint. I got the triplo panino which has chickpea fritters, potato croquettes and aubergine - apparently a classic - and it was delicious. Francu U Vastiddaru was also right next to the Garibaldi Gardens which were a perfect place to eat our lunch and admire Palermo's oldest tree, at 150 years old! We then made our way to the Galleria d'Arte Moderna which was open on Sundays and is in a fifteenth century palace containing some absolutely stunning Sicilian pieces of art. I'm not always one to enjoy art galleries but Sarah and I both hugely enjoyed the couple of hours we spent wandering around here followed by a cold drink outside its cafe. On our way back to the hotel we stopped to have a look at Palermo's harbour which was stunning and later went for dinner at Pizzeria Frida. Our pizzas were nice and it was lovely to sit outside but the service here wasn't amazing and I've definitely had better pizzas so I don't want to sing its praises too much. 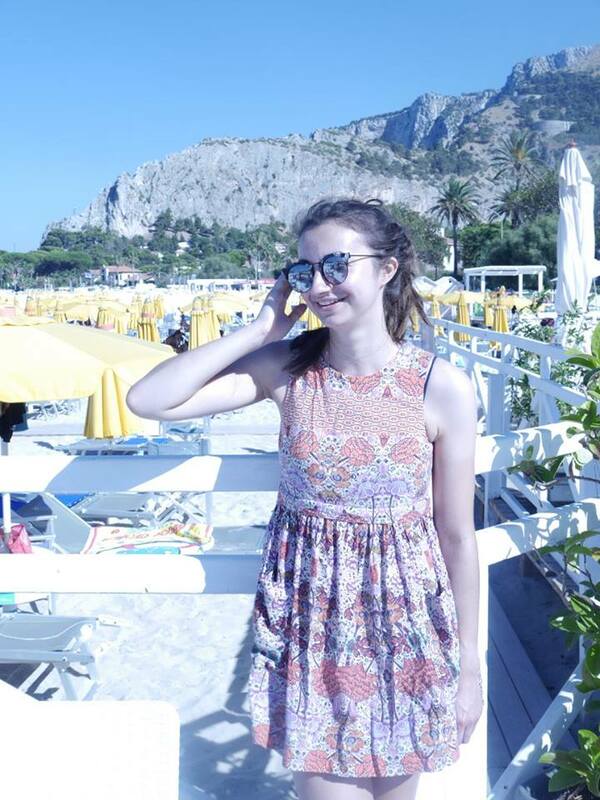 On our last full day in Sicily we got the bus to Mondello, which takes about half an hour from Palermo, and went to the beach. It's been years since I've spent a full day at the beach properly, spending the entire day sunbathing, reading and renting a sun-lounger. It was pure bliss and the beach was absolutely stunning - I don't think I've ever seen sea water so clear. If you have enough time when visiting Palermo I would definitely make a trip to the beach. We weren't sure we were going to because there were some more things in Palermo we could have gone to see instead but I'm *so* glad that we did because it was incredible and just what I needed. On our final night we ate at Enoteca Buttice - a lovely wine bar that served simple but great food. We sat outside and talked about everything going on in our lives as well as reflecting on our trip and it was just perfect. 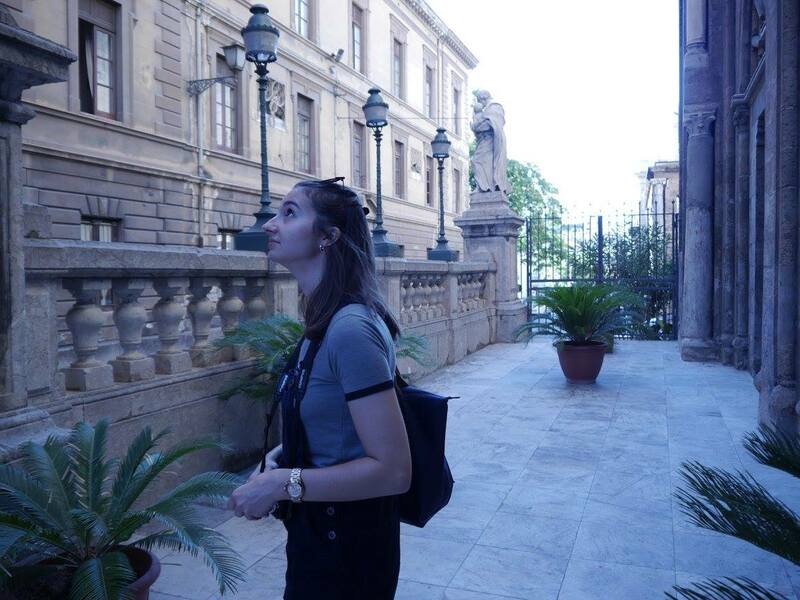 All in all I absolutely adored Palermo and would love to explore more of Sicily sometime in the future. 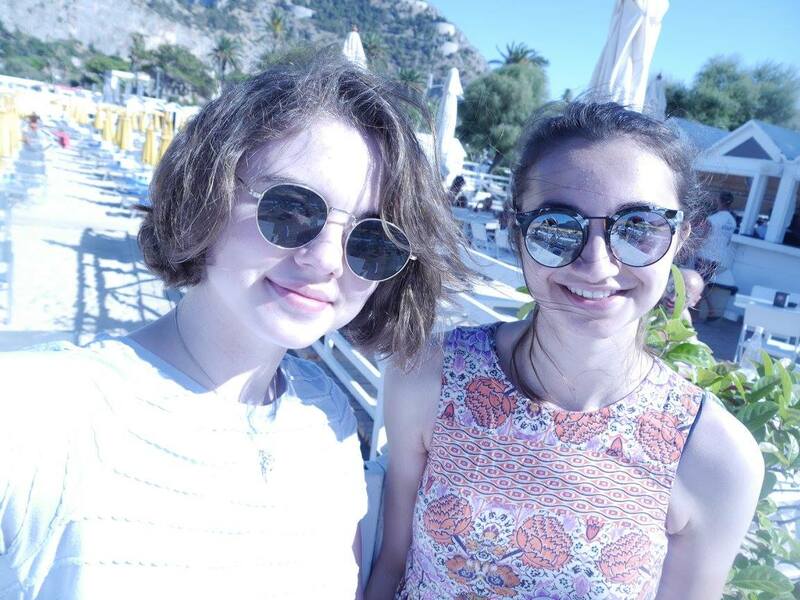 It was so fun to go on holiday with Sarah and see everything with her as well! If you're thinking about going to Palermo at all if it's not already clear it has so much to offer and I would highly, highly recommend it. Apologies for this mammoth post but I wanted to get everything down from the trip - I hope you're having a wonderful week! 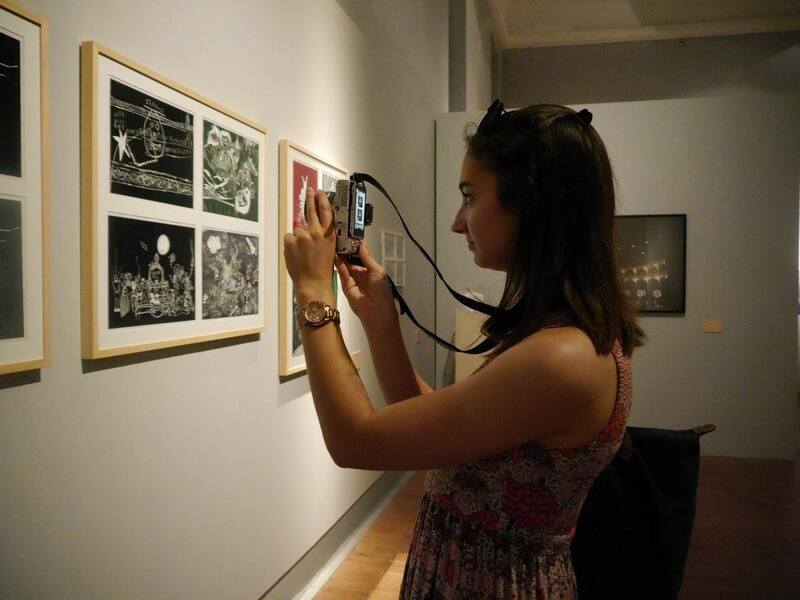 Some of the photos in this post were taken by lovely Sarah (thank you for letting me use them! ), the rest all by yours truly! 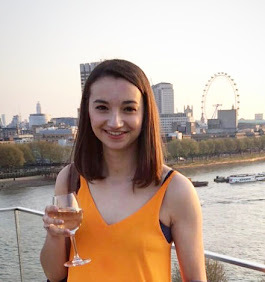 I haven't written a 'let's catch up' post since April, or anything at all on here for over a month, and so I thought this would definitely be a good time to fill you in on where I've been! As always when I stop writing regularly on here, I didn't intend to have such a long pause but my life has been very busy over the last few weeks and I haven't had the time to write about it. I'm here now and ready to write a bit so let's go! Working at Wimbledon was, once again, amazing. More tiring than any job I've ever had in my life (I do not know how I will ever cope with sleep deprivation if I have kids) but the best. The atmosphere every single day is incredible and, while I was exhausted the last few days, Roger Federer hi-fiving me after he won the men's singles' final more than made up for it. So that was Wimbledon. A few days after Wimbledon I went to Romania for a week with my Mum. It wasn't the easiest of trips. Only being half-Romanian and having been born in the UK, I still don't know Romania all that well and so I'm very dependent on my Mum when we visit. Which is ok and I'm glad that I go with her to learn and see more of the country she grew up in but what with me essentially spending the week away following her around and her going through some difficulties with a few of her childhood friends there, I felt quite caught up in it all and it was a little stressful. Absolutely fine now but not the most relaxing of holidays shall we say! Anyway, it was still great to go and I did enjoy seeing a new part of the country I hadn't been to before and catching up with a very close friend and my cousin. At this point I'd essentially been busy non-stop since the 25th June (it being the 26th July at this point) but two days after getting back from Romania I flew to Palermo, Sicily with my friend Sarah. Sicily was incredible - I'm going to be writing a travel diary about our trip in a couple of days but it was such a great holiday. It's no secret that I adore Italy and Palermo only re-affirmed that once again for me. It was also great to go with Sarah because we tend to chat about anything and everything and she's wonderful. I got back from Sicily on the 1st August and I've just taken the past few days to fully relax for the first time in a month. Working at Wimbledon and having two holidays is obviously amazing and I feel incredibly lucky to have had these experiences over the past few weeks. But that's not to say doing so much without stopping in between is not incredibly tiring and these last few days of chilling out have been much needed.